LEXINGTON, Ky. (March 20, 2019) — The University of Kentucky community is celebrating Women’s History Month. Throughout March, UKNow will feature the women — past and present — on whose shoulders we stand and whose hard work has made our achievements possible. 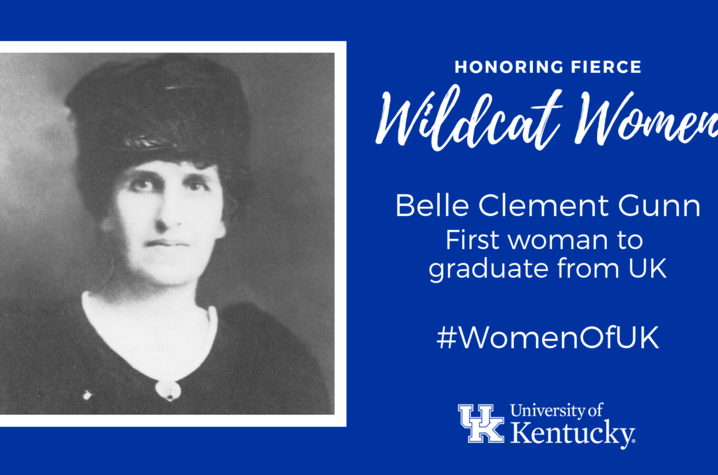 With a combination of fierce resolve and deep compassion, UK women have left indelible marks on our university. Join us as we highlight these #WomenOfUK. Women students at the institution that would eventually be known as UK reached a milestone on June 4, 1888, as the college faculty reviewed the candidates for degrees. They concluded that "Cadets G.G. Bryan, E.E. Curtis, R. Payne and F.V. Bartlett and Miss Belle C. Gunn" had "creditably finished the course prescribed for the degree of Bachelor of Science, it was unanimously resolved to recommend them to the Board of Directors for that degree." 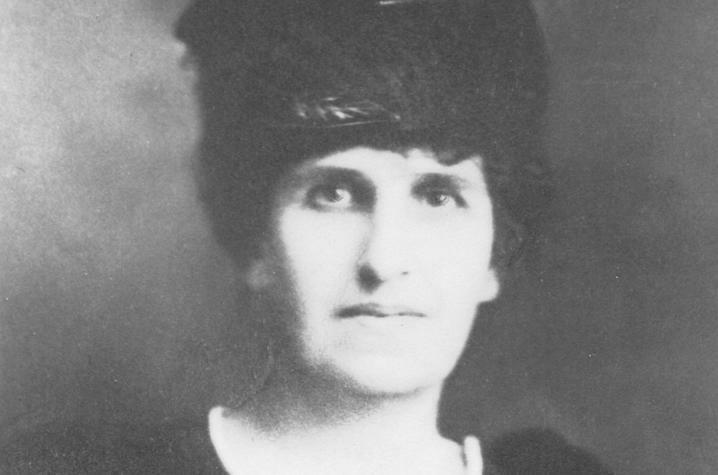 Even though women received certificates from the Normal Department as early as 1884, Gunn became the first woman student at State College of Kentucky eligible for a baccalaureate degree. Born Arabella Clement Gunn, the Lexington native spent her childhood on a farm near Shelbyville, Kentucky. While living in Shelby County, she attended the well-respected Science Hill Academy for girls. Her family returned to Lexington in the early 1880s, and Gunn attended the public schools of Lexington and Sayre Institute. At State College, classmates remembered Gunn as "well above average in scholarship, but not so brilliant as to inspire envy and jealously." She participated fully in the limited social life available, including the literary societies. Before Commencement exercises that year, President James K. Patterson summoned Gunn to his office. He asked the only woman graduate, "I suppose you will not want to sit up on the platform with the young men on Commencement Day, will you Miss Gunn?" Gunn's reply was brief and pointed, "I've been through four years in classes with them, and I don't see why I shouldn't sit on the platform with them now." At Commencement the president was reportedly "most gracious" to the first woman graduate, who he referred to as the "Eldest Daughter of the Institution." Information on Gunn was provided by the Special Collections Research Center at UK Libraries. The center sustains the Commonwealth’s memory and serves as the essential bridge between past, present and future. By preserving materials documenting the social, cultural, economic and political history of Kentucky, the SCRC provides rich opportunities for students to expand their worldview and enhance their critical thinking skills. SCRC materials are used by scholars worldwide to advance original research and pioneer creative approaches to scholarship. UK Libraries SCRC is the Archives, the Louie B. Nunn Center for Oral History, the King Library Press, the Wendell H. Ford Public Policy Research Center, the Bert T. Combs Appalachian Collection, the John G. Heyburn Initiative and ExploreUK.